Grace Baumbach Warner, whose 40 year teaching career ranged from country school houses to more than three decades as a highly respected fourth grade teacher in Central Lake Elementary died Thursday, November 8, 2018. Mrs. Warner, a resident of H & D Farms at Norwood Corners with her son Douglas, was 99 years old. “She was my 4th grade teacher and I knew her as “Mrs.Warner,” said Kari Groll, who works part-time at Central Lake Elementary School. “I remember her, so so well. She was a force to be reckoned with, an amazing woman. “She was very stern but very fair and loving in her way. She would brook no nonsense. She always read out loud to us. I remember her reading Pippi Longstocking. I really enjoyed that. We all did. “She also had a Gabby Gertie list, and if you were caught talking out of turn your name went up on the blackboard, and then you had to spend time with her at recess. She was also big on penmanship. She had us do something called ‘running ovals.’ She would count out loud and you had to stay on the line in your notebook. I had trouble with this and I would erase above and below the line and she would catch me every time. “She was always spiffy, very well dressed, and this was in the mid-60s. She was stylish but conservative, very trim and in very good shape, very energetic. In the years before graduating from Central Michigan University in 1958, she began her career via the County Normal system in the 1950s. The program allowed high school graduates with one year of study to teach in country schools such as those in Norwood and the Warner School in Charlevoix County. She herself went through her first eight grades in the Norwood school, where she was to return as a teacher. Her husband Harrison preceded her in death. 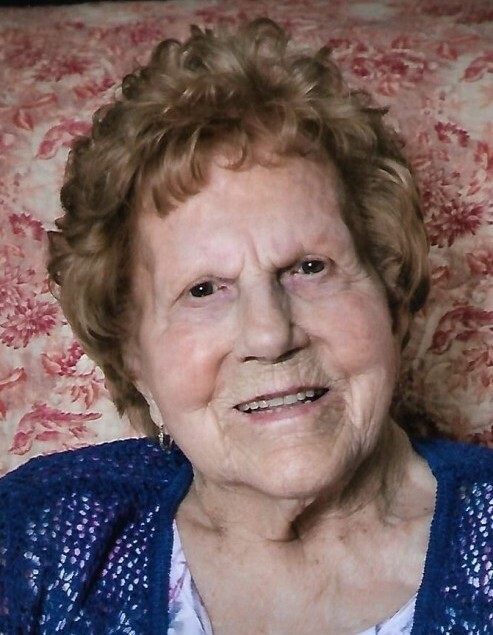 Survivors in addition to her son include her granddaughter, Sarah Roy and husband Jason, three great grandchildren, Parker, Temperance and Annabelle along with several nieces and nephews. During Mrs. Warner’s last years, she was cared for by Darla Pawson. The family will be forever grateful for her loving care and attention. Funeral services will be held Friday, November 16, at 11 a.m. at the Charlevoix Chapel of Mortensen Funeral Homes. The family will receive friends from 10 a.m. until the time of service and also Thursday, November 15, from 4:30 to 8 p.m. at the funeral home. Interment will be in Brookside Cemetery, Charlevoix. The Grace Warner Memorial fund will be set up thru 4Front Credit Union in Charlevoix. Envelopes will be available at the funeral home. Refreshments will be served at the Norwood School House south of Charlevoix following the service.